. : chromewaves.net v7.5 » Blog Archive » Mazzy Star will release their new album when they’re good and ready. And they’re good and ready. 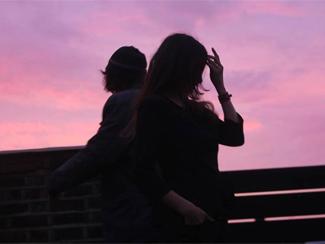 Mazzy Star will release their new album when they’re good and ready. And they’re good and ready. Frank YangWell you certainly can’t accuse Mazzy Star of rushing it. The California duo of David Roback and Hope Sandoval released their last studio album of narcoleptic dream-pop Among My Swan in 1996, and while they were actively touring as late as 2000, it was presumed that with Sandoval’s unveiling of her solo project with The Warm Intentions and Roback’s general staying off the radar that the band itself was no longer a going concern. But then in 2009, while doing press behind the second Warm Intentions record Through The Devil Softly, Sandoval mentioned that she and Roback were working together on a fourth Mazzy Star record, proof of which would come fully two years later with the release of the “Common Burn” single, which featured not one but two new Mazzy Star songs. Surely more wouldn’t be far behind? Sure, if you operate in geological time. Though the band did return to the stage for some US dates around Coachella 2012 and a number of European dates that Summer, nary a word was breathed about the status of that fourth record… until now. Acting like it’s no big deal, Mazzy Star have announced the September 24 release of Seasons Of Your Day as well as a preview of one of the new songs that will appear on it. Spin has more details and the track listing, which confirms that both sides of their 2012 single will also be on the record. Meaning that when their first album in 17 years finally comes out, you’ll have already heard almost a third of it. Oh well. With the reissue of The Mountain Goats’ All Hail West Texas today, John Darnielle has dug up an unreleased We Shall All Be Healed-era tune to stream. He took to Tumblr to explain the track. Also out today is the new “Chained To Love” 12″ from Divine Fits. Both sides are now available to stream via lyric videos. NPR and The Cleveland Plains Dealer talk with Jason Isbell. He’s in town at Lee’s Palace on August 2. Pitchfork follows Will Sheff of Okkervil River to some open mic nights where he plays songs from The Silver Gymnasium with a childhood friend. The record is out September 3 and they – Okkervil River proper, not Will and bud – play The Phoenix on September 28. Funny Or Die gets Neko Case to play one of their Dressing Room Sessions. No, that’s not a real thing. Her new record The Worse Things Get, the Harder I Fight, The Harder I Fight, The More I Love You is out September 3. Paste have premiered the new video from Lissie’s forthcoming Return To Forever, out September 10. Janelle Monáe discusses her new album The Electric Lady with The Fly. It’s out September 10. NME gets to know Speedy Ortiz, who are in town in support of Chelsea Light Moving at The Horseshoe on September 15. Rolling Stone talks to The Dismemberment Plan about their album Uncanney Valley, due out October 15. You can now stream the formerly telephone-only first preview of it without a phone. Noisey has an in-depth interview with Johnny Jewel of Chromatics, as well as a million other bands. MTV Hive talks to Wayne Coyne of The Flaming Lips about his forthcoming comic book endeavours and Stereogum has premiered a new video of a relatively old Devo cover because if you have videos of Devo covers lying around, you may as well release them. Low plays a video session for Pitchfork’s City Of Music series.